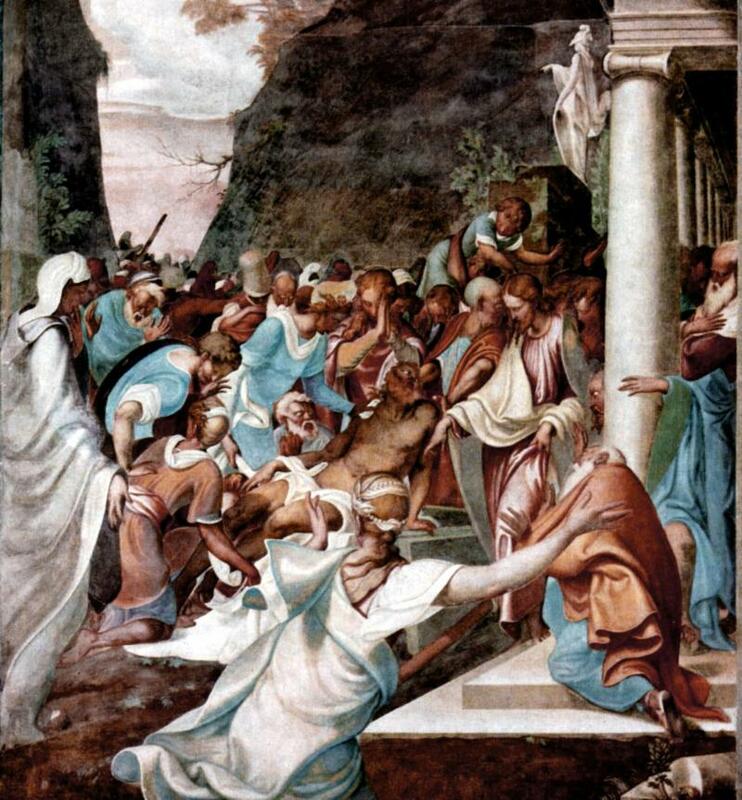 We all know the story of Lazarus. About how he was a close friend of Jesus; about how despite hearing Lazarus was ill; about how Jesus dawdled and delayed; about how Lazarus up and died before Jesus arrived. 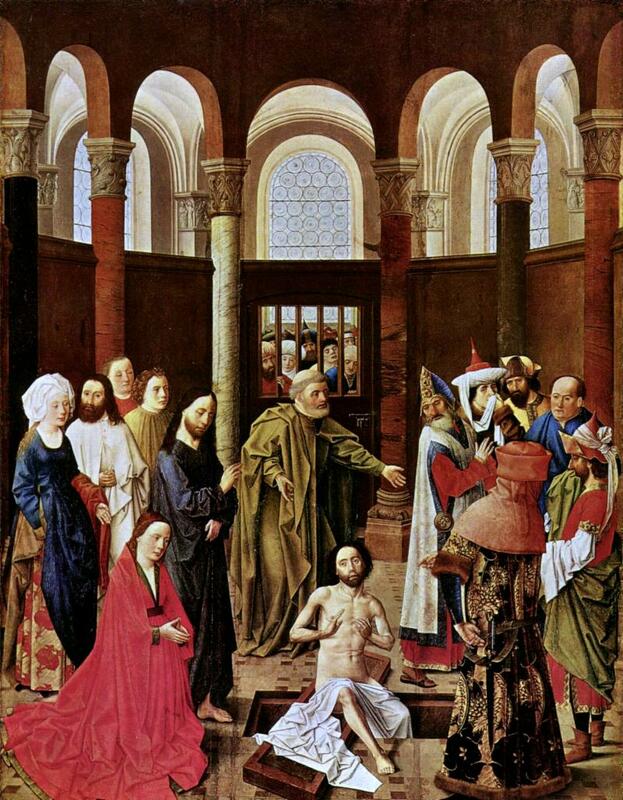 Today we herd again how the sister of Lazarus, Mary said: “Lord, if you had been here, my brother would not have died.” What a hard and hurtful thing to say. But also what a testament to the faith Mary had in Jesus: she believed Jesus would have saved her brother’s life. We head how was deeply moved by Mary’s grief. So he said, “Where have you laid him?” They said to him, “Lord, come and see.” We head how Jesus began to weep. That is not what a god-King does if he knows he is about to resurrect someone from the grave. Jesus wept because he was human, because he grieved at the death of his friend, because he wasn’t sure what was going to happen next. 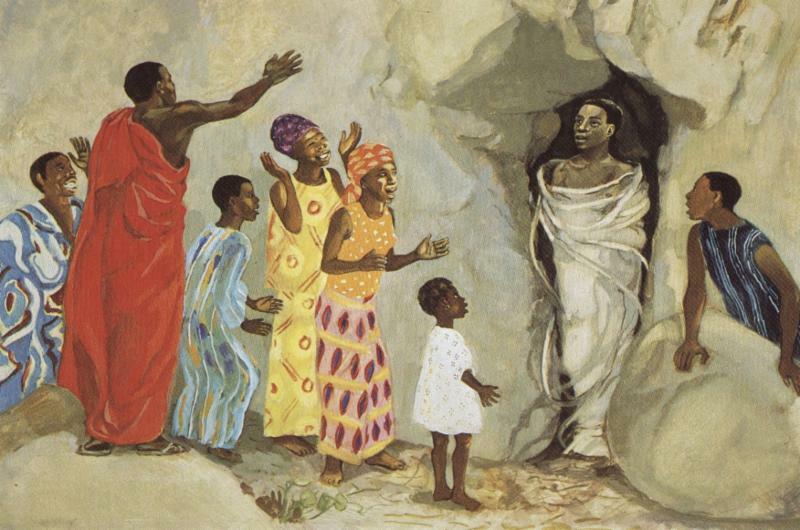 We head how at the tomb, Jesus said, “Take away the stone.” But Martha, the other sister of the dead man, said to him, “Lord, already there is a stench because he has been dead four days.” “Did I not tell you that if you believed, you would see the glory of God?” Jesus replies. So they took away the stone. 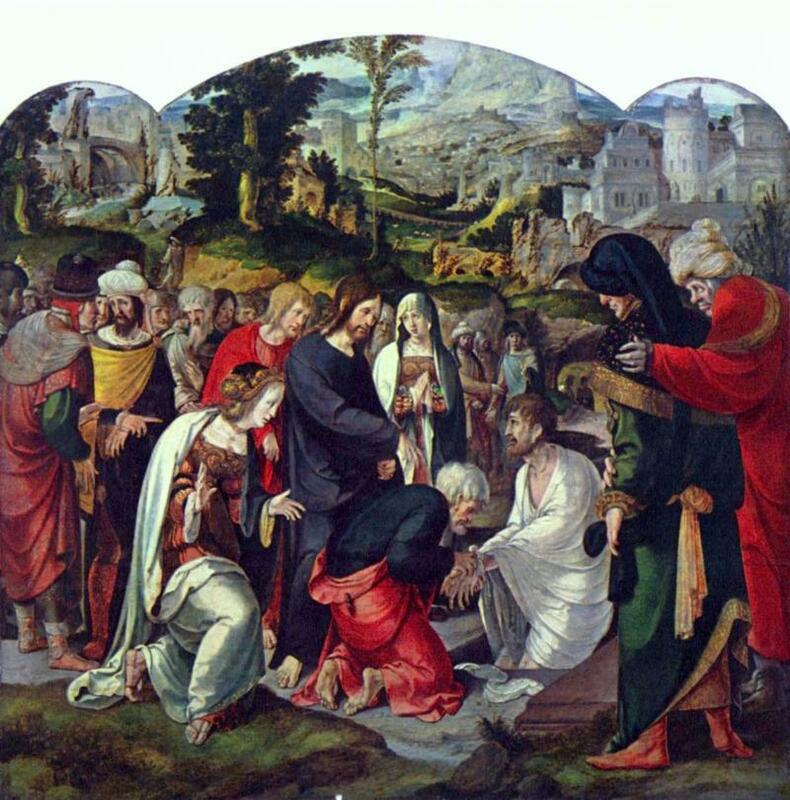 We head how Jesus prayed and then cried with a loud voice, “Lazarus come out!” And Lazarus came out. And that seems to be the story of how Jesus came to bring Lazarus back from the dead. 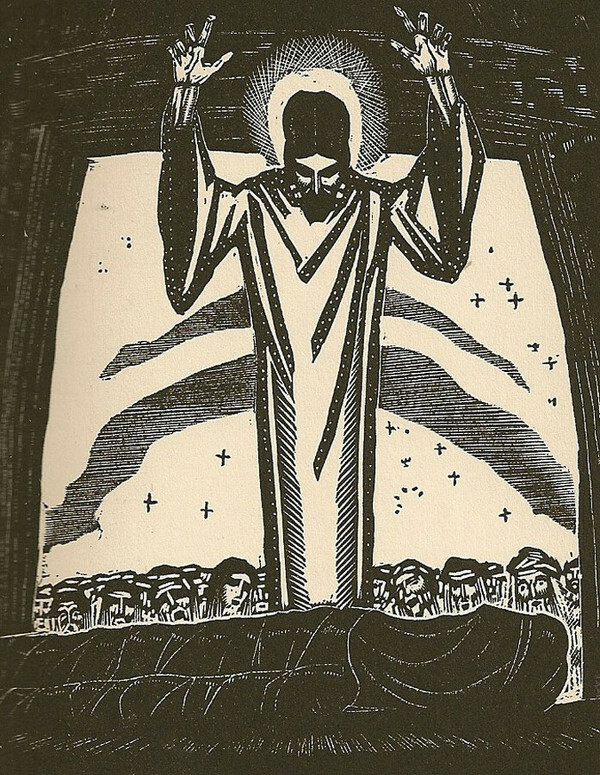 Truth be told it is a very good resurrection story: it sticks in the mind and stirs the soul. What if this is something than a one-dimension story of magical resurrection? What if it says something more to you and me today right here and right in this place? What if Jesus is standing outside right now, only instead of calling his best friend, Jesus is calling us? What if a deeper meaning of the Lazarus story is a call for each of us to come and live an abundant, joy filled life walking with Jesus? What if following Christ is more about walking the Jesus path today and less about earning a reward in heaven? What if an important part of being a Christian is not what comes after our death but how we live right here and now in the Bay Area: how we follow the great commandment to love God and our neighbor here and now? Look around: see all those folks who are trying to be Christians by focusing on living out a purity code rather than opening their hearts and hearths to the alien in our land or those walking through Mexico to seek safety and asylum here? Look around: see all those folks who are trying to be Christians by imposing their religious beliefs on Jews or Muslims or atheists or even other Christians like us? Look around: see all those folks who are trying to be Christians by supporting politicians who divide and deride and demean anyone who opposes an extreme political agenda? Maybe Jesus is calling these those folks who are trying to be Christians to come out of the spiritual tomb they have built for themselves; to come out and walk through life with Jesus; to come out and leave fear behind. And maybe Jesus is calling to us: to you and to me; calling us to do justice, show mercy, and walk humbly with our God. Each of us is invited to walk humbly with our God. Notice, neither Micah nor Jesus calls us to try to get into heaven. Neither Micah nor Jesus tells us to focus on our final destination. Neither Micah nor Jesus tells us what is most important is the end of our trip. Maybe that’s because the journey is what is most important. Maybe that’s because our focus needs to be on here and now, on our pilgrimage from birth to death. Maybe that’s because we need to pay attention to how we are living our life in community instead of focusing on our final destination. The path of Jesus is about how we live here and now, not when we get to the great by and by. The path of Jesus is about how we take care of each other as we wander through life. The path of Jesus is about how we walk humbly with our God and each other. 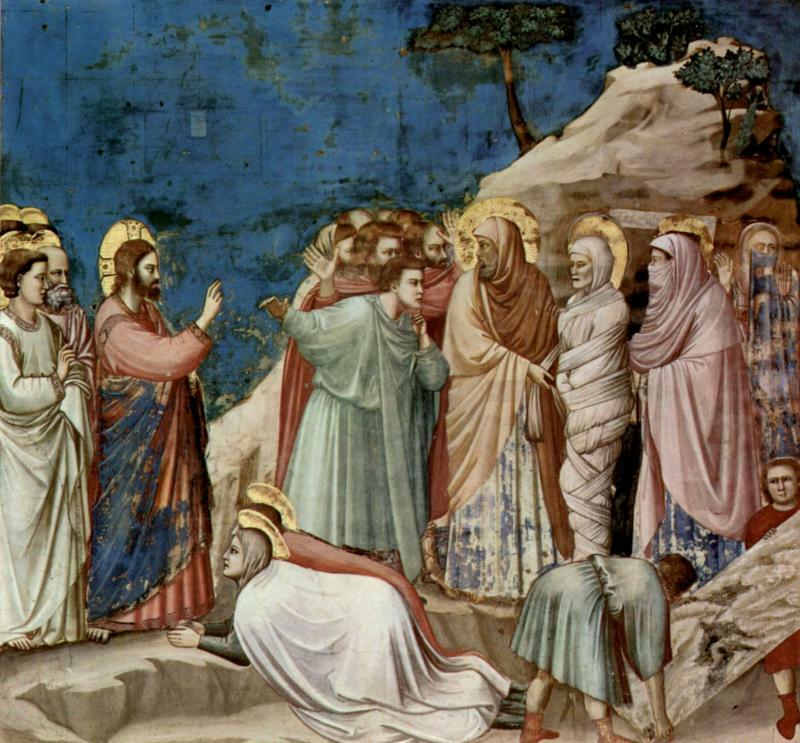 In this light, perhaps the story of Lazarus is also Jesus calling each of us to lead a new life here and now. Perhaps an added dimension to the Lazarus story centers on our continuing need to break out of the tombs we build for ourselves. Perhaps Jesus is calling us to walk outside the safe places, to color in our life story without being afraid to color outside the lines. I know it is a lot quieter inside a tomb. It may even seem to be safer inside a tomb. But Jesus knows tombs are for the dead. Jesus came so we could live life more abundantly. Not so we could all be billionaires. No: Jesus came in part to redeem us from being entombed by what doesn’t matter and from being distracted away from things that do matter. Doing Justice matters. And we can’t do justice if we are walled off in a tomb of false priorities and superficial relationships. Showing Mercy matters. And we can’t show mercy if we are cut off in a life that seals us off for community. Walking humbly with our God matters. And we can’t do justice if we are confined by focusing on getting into heaven. Only Jesus isn’t just calling his friend Lazarus: Jesus is also calling to us – to you and to you and to me. Jesus is calling us to walk with him on our pilgrimage through this life instead of being trapped by our own fears. Jesus is calling us to live in community instead of exiting in loneliness, cut off from others. The good thing about Scripture is it speaks to us on several levels. 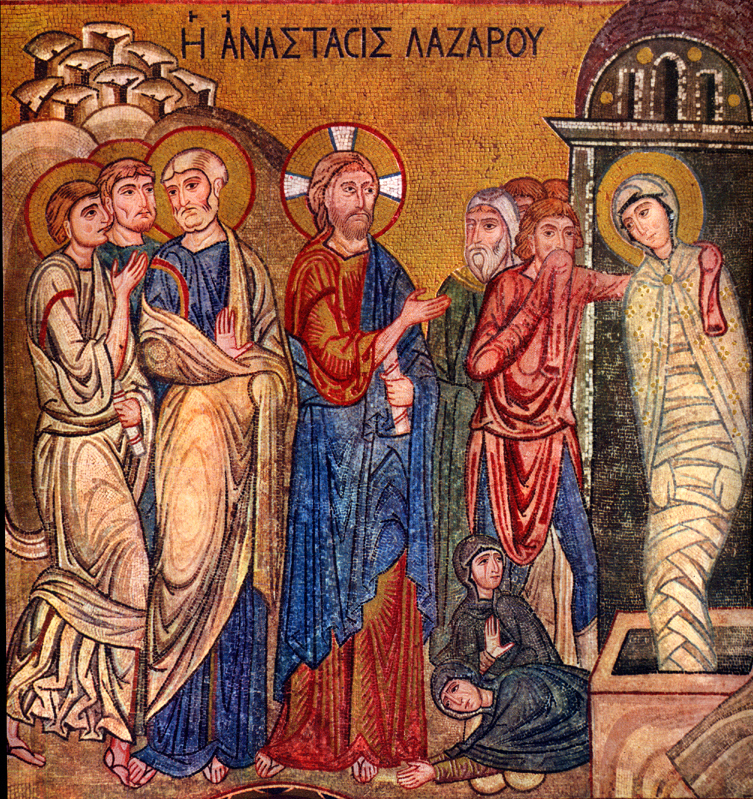 We can read the story of Lazarus as an act of magic that returned someone Jesus loved to life. And we can also read it as a metaphor of how Jesus calls us to new life, to a new life of walking through life in community, focused on following the example of Jesus, focused on walking the path Jesus walked. That’s what Jesus calls us to do and that is what this world needs us to do. On this day Jesus calls us to come out and live life abundantly; to walk with Jesus on a pilgrimage doing justice and mercy; of ending loneliness by living in community. On this day we are called to decide if we will answer this call and walk out of our self-made tomb and into the light and life of walking with Jesus. Will you get up and walk out of your tomb? Creator God, we pray in communion with all the saints on earth and heaven, with the martyrs and the faithful in all ages, and in the name of Jesus who was slain but rose to new life. Bless us we pray with your healing presence; make us hungry for justice; strengthen our faith; and increase our love for others, especially those we find it most difficult to love. May the church assembled say: Amen.